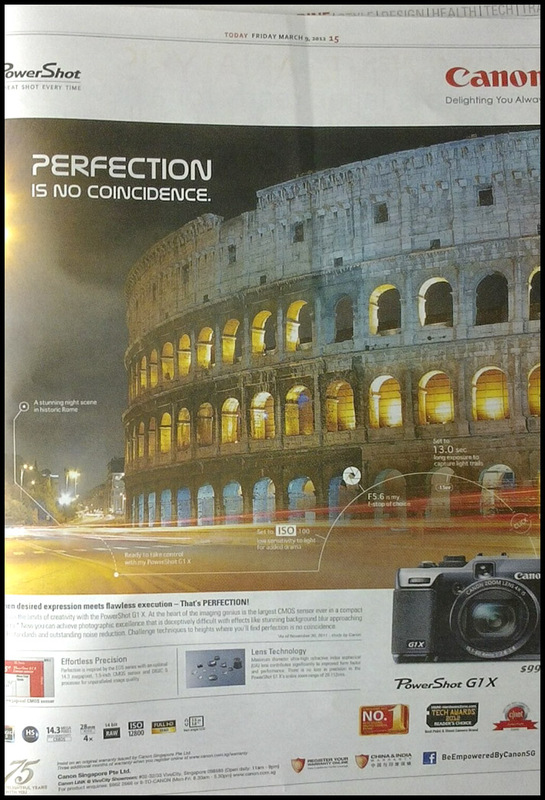 Man Behind Lens: Canon G1-X advert Made a Boo Boo! Canon G1-X advert Made a Boo Boo! Singapore magazine “TODAY” on Friday March 9 posted a Canon G1 X advertisement (see on top), that boast about their humongous CMOS sensor in their G1-X compared to the much much smaller Micro Four-Third! 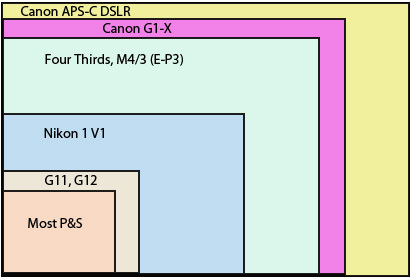 As you can see, Canon MISTAKEN the MUCH SMALLER Nikon 1 sensor as the M4/3! The small size differences between the M4/3 and G1-X means they BOTH are able to give similar top notch results! Canon can made a mistake like that? haha! I wonder how many others picked up that mistake. It`s hard to believe that a reputable company like Canon could make such a glaring mistake! Shame on them!